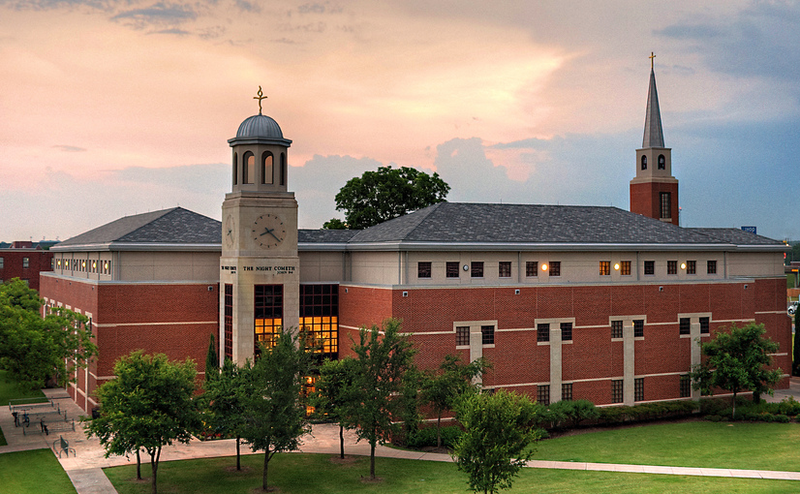 Where does Truett seminary stand Theologically? A description by Dean Todd Still – Habitually Being: thoughts worth living. The entire opening convocation was a wonderful way to begin my second year of seminary. We all gathered together as a seminary, faculty and students, new and old, worshipped God, and heard an address by our Dean, Todd Still. We awarded scholarships for women in ministry, and given as gifts by Truett alumni. And all this took less than an hour. While noting views can be diverse, and he was not speaking ex cathedra or in a way suggesting laying down some special law, he gave a description of who Truett Seminary is as a gathered seminary. He ended by asking if we, with all our differences, from progressives to conservatives–and a host of other binaries– could stand together in a world where the “deep middle” is eroding, and we increasingly see people regarding those as ideological others with suspicion, rather than humility, humanity, and genuine engagement. Over the sweep of her short history, Truett seminary has tended to embrace and espouse what most Christians, in most places, and in most times, have embraced and espoused. As such, we’re centrist and orthodox. All the while, we have an evangelical orientation and passion with a decidedly, though not exclusively, Baptist stamp, as both a seminary community and as individuals which comprise the same. We’ve been grasped by God and the Gospel. We’ve been given new life in Christ by the power of the Holy Spirit. We’ve been plunged into a watery grave. And we’ve been raised to walk in newness of life with other believer priests. While we categorically reject indoctrination, we warmly welcome and embrace a common confession of essential doctrines and regard it and both our role and responsibility to contend for the faith which was once, for all entrusted to the saints. It has sometimes been said that if you stand for nothing, then you will fall for everything. So the question comes our way today, where do we stand theologically as a seminary? This is a wholly appropriate, and an important question, even a pressing question to ask. Not least because we are Baylor University’s George W. Truett Theological seminary. First of all, we stand under scripture even as we seek to understand it. The Bible, we have said, when properly interpreted, is authoritative for matters of faith and practice. It is the norming norm. It is the standard by which we measure our beliefs and our lives. Even though no creed but the Bible is too simple of a slogan, and too shallow of a shibboleth, to capture adequately the theological complexities that attend our work and witness, it does nonetheless convey the belief that the bible serves as our convictional guide and our doctrinal core. Such a high view of scripture does not preclude higher criticism. Indeed, we welcome such here. The Bible does not interpret itself. It must be interpreted. The so-called “plain sense of scripture” must seek to make sense of a biblical text both in its ancient and contemporary contexts. As it happens, every seminary course you take, in one way or another, will require you to interpret and interact with scripture. Here, that is as it should be. Additionally, one who holds the Bible as trustworthy, and inspired by God, need not fall prey to bibliolatry, nor feel compelled to subscribe to some sort of rigid inerrancy. Rather, that for which we seek and aspire is a hermeneutics of trust that sees the thrust of scripture in none other than Jesus the Christ. We do not commend a flat-footed, wooden literalism with respect to biblical interpretation. Instead, we encourage a commitment to approach God’s word, both in public and in private, with all the tools as one’s disposal and with an attitude of chastened curiosity and reverent humility as we struggle, wrestle, grapple, and see if but in a glass dimly. The text is truth, and truth in the text, which will in turn serve to us as lamp and light. ‘Where do we stand theologically at Truett seminary?,’ people wonder. [We respond] under scripture. I would also say that we stand amazed. We stand amazed in the presence of Jesus the Nazarene. At Truett seminary, our focus rightly falls upon Christ Jesus, the pioneer and perfecter of our faith, His matchless life, vicarious death, glorious resolution, present reign and promised return. We life high our Lord, who was lifted up, so that all people might be drawn to him. Wounded was he for our, and for all, transgressions. Crushed was he for our, and all, iniquities. We herald a Gospel of a crucified, reconciling Christ, who calls us to a cruciform life and to a ministry of reconciliation. Inviting those who are far away to come and see and encouraging those who are near to go and tell, for whosoever calls upon the name of the Lord, they’ll be saved. And we are to call on him, while he may be found. At Truett, we encourage one another to cultivate a meaningful, vital, relationship with God through Christ Jesus by the power of the Holy Spirit in the context of community. The divine summons upon our lives in Christ is to be more fully formed into his image and likeness. Here, we are deeply committed to know more about Jesus, even as we are desirous of knowing Jesus more. This occurs in classrooms, covenant groups, chapel services, the offices of faculty and staff, in lectures, fellowship times, hallway conversations, ministry placements—and more. Because here Christ plays in 10,000 places. To say Truett is Christo-centric is, I trust, true, but it is in no way meant to be trite. We want to continue to make much of the one who accepts us and saves us as we are, but loves us too much to leave us as He found us. We want to follow faithfully and fully the one who has called us to deny self, take up cross daily, and follow him. In addition to standing under scripture amazed at what Jesus has saved us from and for, since its inception, Truett has been a community of sinner-saints who are seeking understanding. ‘Fides quaerens intellectum,’ as Anselm put it. In this place, we strive in the words of J.B. Lightfoot toward the Highest Reason and the Fullest Faith. Although we affiliate and cooperate with various congregations and denominations, especially the Baptist General Convention of Texas, we are neither a church, nor a denominational body. Rather, we are an educational institution that values academic rigor…. [A]ll of your professors are not only interested in, and committed to, informing you that you might understand, they are also equally, and simultaneously, interested in cultivating your faith. What is more, they themselves are devoted to loving their lord with heart and head, mind and soul. At Truett you will be challenged academically, have you heard the name Dr. Ngan? You will also be encouraged spiritually. You will be both informed and formed. If it sounds too good to be true, come and see a place which has one foot firmly in the academy, while simultaneously playing another further, and firmly, in ministry. There are very few places like it…. It’s a gift that must be stewarded, it’s a trust that we regard as sacred. Like the Reformers, and other believers throughout the sweep of Christian history for that matter, we stress scripture, grace, and faith. We stand under scripture even as we seek understanding as those who love and trust the one who first loved us, by living a faithful life, and by dying a faithful if fateful death…. I’m happy to be here learning under academically rigorous and faithful Christian scholars, alongside students with with whom I’m happy to encourage, talk to, and–occassionally!– engage in friendly (if impassioned) debate, and to serve and grow in church ministry all the while. It’s the opportunity of a life time. Previous MLK day, Two Views review on “Words about God,” and more.